It’s hard to start or grow a business. You have so many responsibilities, so many things to do. It never ends. But you love it and you can’t live a day without it. I get it, we’re in this together. But, you can definitely live without your day to day chores. Without going to the supermarket, cleaning, doing laundry, returning packages to UPS, booking a doctor’s appointment, finding a flight or just taking something from one side of town to the other. Chores. I hate it. You hate it. Unless you’re insane. On top of that, I have a family that I want to spend as much time as possible with, demanding job, projects, friends, Burning Man is getting close and on top of that I just moved to a new city. So I had to develop a system. To be efficient, not waste time that I don’t have on s**t that does not matter to me at all and have fun in the process. No matter what kind of BS life throws at me, I have a solution. Apps. The mobile kind. I use my phone to delegate the boring, tedious and unnecessary part of my life. 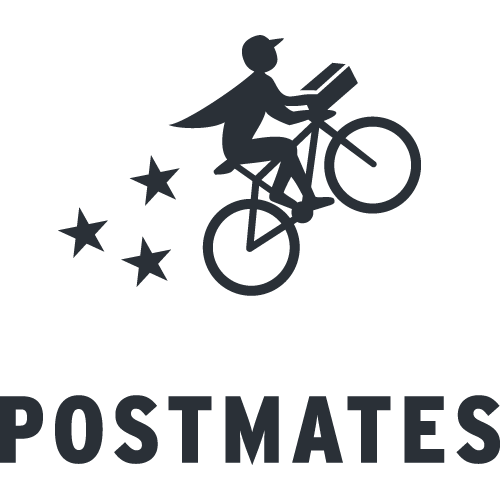 Postmates – In the last snowstorm we had here in New York, I still got my lox bagel and a horrible cup of coffee from the store down the street. And also a bag full of fresh vegetables and fruits from Whole Foods. That’s the magic of Postmates. The world’s most resourceful and versatile delivery pro that lives in your phone and pops out every once in a while to delight you. 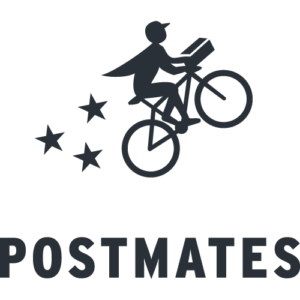 Postmates is your personal delivery service, and you can use it to get anything you want delivered to your door. They have partnered with tens of thousands of different businesses, which means you browse their menus like you would a regular delivery app. And if your favorite place is not on their list, just tell your Postmate where to go, what to buy, where to bring it, and that’s it. They also have a killer API that lets you add apps to their network and build your own white label delivery service. 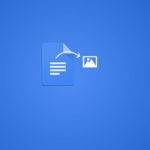 Fresh Direct /Instacart / Google Express /Amazon Fresh – There isn’t much to say about these apps, pretty straight forward. They are simple but essential services that can make your life easier by delivering groceries direct to your door, often in a matter of hours. This means that whether you’re short of milk for your morning coffee or cereal, or whether you want some fresh bread for breakfast, they can get it to you before you wake up and start the day. These apps are the procrastinator’s best friend. UrbanSitter is a wonderful tool that connects parents to caregivers. 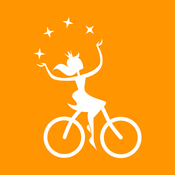 You can use the app to gain access to your sitter’s schedule and availability, and to make instant bookings directly through the app. Just to clarify, because I can see your eyes rolling, this is not an Uber for nannies or babysitters. It is a tool to communicate, pay and book your caregiver. Getting started is not easy. Far from it. We recently moved to New York and started using the app. We were matched with many potential sitters and interviewed dozens of them before choosing the ones we’re working with now. There is a lot of meetings and phone calls to begin with, but then UrbanSitter start to work for you, making life easier and cutting unnecessary stress. 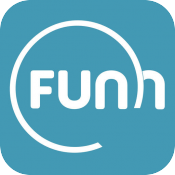 Funnster – Funnster’s goal is to help you organize and participate in home-parties without the need to make plenty of phone calls, text messages and emails for arrangements. If you happen to be the organizer, you can also keep tabs on everyone without having to take time out of your day. If you’re a guest. Tablelist is your own personal party promoter. They’ll tell you what’s happening at the best venues and events and make sure you’re on the list so you can cut the line. 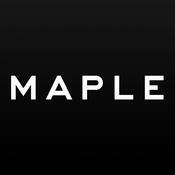 Their premium service is really cool and can save sneaky handshakes with the bouncers in busy clubs. Operator – If you’re like me and wearing anything more complex than jeans and black-T is too fancy for you, and you would not recognize a tasteful combination of colors if it hit you in the face, Operator can help. Buying clothes is a hobby for some, but an anxiety provoking nightmare for… others. Operator is a personal shopper that takes the stress out of shopping and finds clothes that are based on your preferences, including body type and budget. Get clothes for yourself, presents for your partner, and even cool Burning Man accessories. 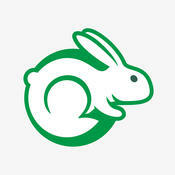 TaskRabbit – I have a special relationship with TaskRabbit. 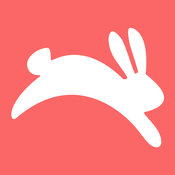 It’s one of my favorite apps, even though I keep getting screwed by the “Rabbits”. See, for some people, assembling IKEA stuff is a good way to spend an afternoon. It’s fun for them. For others it’s an unbelievable way to waste time. Luckily, those people can invest much less time in TaskRabbit, which helps you find people to do your chores for you. Whether it’s cleaning, plumbing, or figuring out those cutesy, spartan IKEA instructions, TaskRabbit’s army of members can help. It doesn’t matter how mundane the chore is, there’s always someone waiting to help out. The catch? They charge per hour, not per project. So if your Rabbit is stuck in traffic or the IKEA thing was a wee too complicated, you may lose an arm and a leg. But, you’ll keep coming back. Promise. 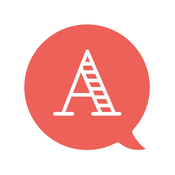 HelloAlfred is like having a butler come to your house every week and take care of everything while you’re gone. 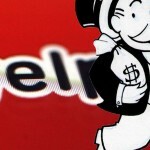 This is a life-saver for super busy people who prefer to outsource everything they can. The Alfreds will come once or twice a week, clean your home, make your bed, take care of laundry, take your nice items to dry cleaning and repair anything there is to repair at home. Actually, when thinking about it, it’s like going back to living with your parents, but without the part of living with your parents. Sweet. 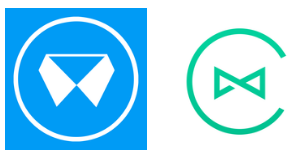 Cleanly and Wash.io – Stuck with a pile of dirty laundry and no time to go through it? Ping them and they’ll pick it up, take it away, and bring it back clean and fresh. They can turnover your pile of dirty laundry in less than 24 hours if you just need wash and fold. It’s simple, easy, and can save you from spending an evening elbow-deep in your clogged laundry room. 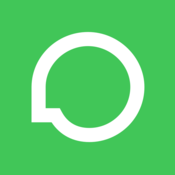 Upwork: If you need to give a project the professional touch, Upwork can help. There are 14 million freelancers on this network, from professional writers and designers to coders and consultants. Just sign-up for a client account, tell everyone what you need and wait for the offers to come in. 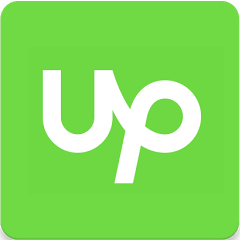 Upwork freelancers can manage every part of your project or your business, but it can also help with day-to-day life. There are a number of virtual Assistants on the site that will manage your life like no one else will, sending emails, arranging appointments and doing anything else you need them to do. Blue Apron – This app is not just for sending you a weekly box of joy, fill with recipes and the accurate amount of ingredients for making meals that will make your friends and your family think you’re a cooking savant. It is also an empowerment and educational platform. Well, maybe I’m going a bit over the top here but I LOVE them. 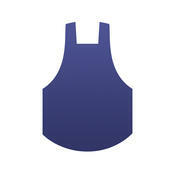 Blue Apron is the kind of apron you wear when you learn how to cook professionally. In the brigade system, the french system of cooking, each color apron has a meaning. Blue is reserved for the apprentices, those learning. I always wanted to learn more about cooking, about combining flavors and painting with food. But the trouble is so massive, I never had patience. Going shopping, finding the specific brand and type of food, calculate amounts, recipes… too much. But when I learned about Blue Apron I knew I had to try it. There is no need to source ingredients, no need to compile lists and spend hours hunting through your local grocery store. This is a service that sends you a box full of ingredients every week and the exact instructions of how transforming these random pieces of food into a beautiful meal. This service is one of the best out there. If you’re a vegetarian (not vegan) you can still use Blue Apron, but expect to get almost every week recipes with cheese and carbs, they’re not huge on healthy food. You may notice I’m a huge fan of these boxes. But I’m also a huge fan of eating healthy and keeping a vegetarian way of life. So while they don’t have an app yet, I really recommend using Purple Carrot in addition to Blue Apron. It’s the same, but vegan. Fresh vegetable based meals to make you feel better about yourself and about nature. Enjoy! Hopper – With so many budget airlines out there and the mere existence of SkyScanner, you’d think it would be easy to fly cheap, but that isn’t always the case. Prices changes all the time and if you’re not completely obsessed with getting the best deal possible and willing to devote your days to refreshing websites and dwelling in subreddits about flights, you’re not going to get the best price possible. Right? Wrong! Now I have Hopper. Let them know when you’re leaving and where you’re going and it will send you alerts when the price fluctuates, and when it’s the perfect time to book. But act fast. I actually booked by last direct NYC – LAS trip for $350 (saved $200) thanks to their alerts. Highly recommended. MissBeez – I’m a guy who neglects himself and I don’t get the concept of taking care of your nails. However, I do acknowledge it is a thing. This is why I’m going to mention MissBeez. They connect between the busy beauty service seeker to beauty service providers. Haircut? Mani-pedi? Wax? They’ll come to your office or home and take care of you like it’s your own beauty salon. 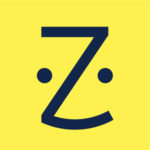 ZocDoc – Find a doctor near you, book an appointment, show up, get this disgusting thing removed already. That’s it. No hassle, no slowly reading insurance numbers out loud, no awkward phone calls to your mom. 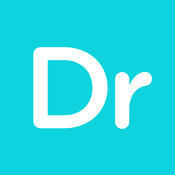 Doctor On Demand – On-demand health services that come to your home. If you’re feeling sick, are worried about your child or a family member, or you just need a quick check-up, get the app and make the appointment. They’ll show up. 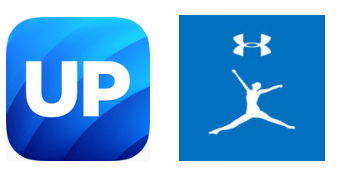 UP Jawbone + MyFitnessPal help me stay active, engaged and stay aware of what I’m eating throughout the day. My diet is in check with the MyFitnessPal where I have a diary of every calorie that I eat, thanks to their huge database of popular foods so you don’t have to do the sums yourself. Tell MyFitnessPal what you ate, how much of it you ate, and how much exercise you did, and it will tell you exactly how many calories you’ve consumed and burned, and what you need to do to reach your goals. For activity tracking, I’m using UP (with the matching wearable). Wagwalking – If you have a dog, the daily walk can be a chore that you just don’t have the time for. I don’t have a dog, I have 2 cats. But I see so many people walking with their dogs in the heat, in the cold, in the rain and I feel so sorry for them. Also, there are some strange work places that won’t let you bring your dog, so what would you do then, ha? 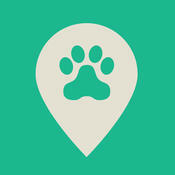 Get connected with vetted and trusted dog walkers that will take Rover off your hands and do all of the hard work for you. If you’re at work, just give them a key and they’ll let themselves in, take the dog for his walk, return it safely and then lock-up. Wag Walking is a great way to keep you and your dog happy, without any extra effort on your part. 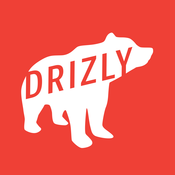 Drizly – Next to setting the house on fire, vomiting on the carpet and flirting with your best friend’s new girlfriend, running out of booze at a party is one of the worst things you can do. Luckily, Drizly is here to save the day. Whether you need an expensive wine to impress that snobs you’re having dinner with or 3 kegs to get the party started, they’ll get it delivered within the hour. They also have an impressive collection of Gin. Just saying. 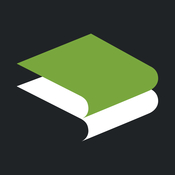 Blinkist – I try to read as much as possible, but it’s hard to keep up with everything you want to read when the socially acceptable way to communicate a few simple ideas nowadays, is to sandwich them between 350 pages. That’s why I like Blinklist, they do the hunting for me. They take the most important ideas in business literature and summarize it in a way that is easy to consume. If I like what I read, I get the book and read through it all. So instead of reading 8-9 books a year, not I can skim through more than 100 books a year, and focus on the books I really want to read. Uber / Lyft / Gett / Via / Juno – It’s all pretty much the same and one of the most important tools for a busy / lazy / late person. Get a cab, go places. Yeah, there are a few differences – Uber is everywhere but you can’t tip the driver, Lyft is more casual but their cars are not amazing and sometimes the drivers are strange, Gett is more of a rumor than an actual app because they never have availability (they don’t charge surge, maybe that’s why), Via is for ride sharing only and Juno is like Uber but 35% off (for now). But they are so ubiquitous, I didn’t even know if I should mention them. But hey, what’s a list of apps without these bad boys? Do you have any more apps you’re using to make your life easier? Please share them with us in the comments below!